With the BMW announcing the launch dates of its smallest offering the 1 Series in India, we were curious how it's like to drive. We are sure you were too. So it was time for us to find out. 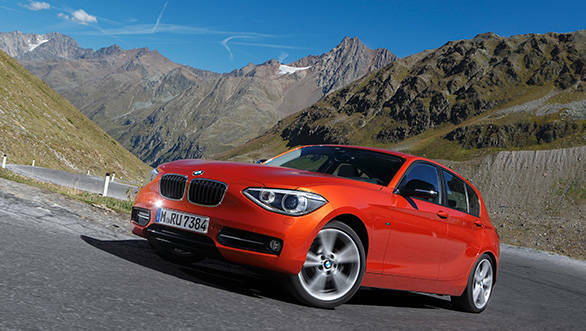 (Read details on styling, engine and other specifications of the new BMW 1 Series here). I drove both the 116i which is the petrol and the 118d and came away more impressed with the petrol than the diesel. Let's face it, the diesel is something BMW must offer to the masses, the petrol then is what the connoisseurs should desire. Now I don't say this lightly, and more often than not I would recommend a BMW diesel. Not this time. The 116i is fun. 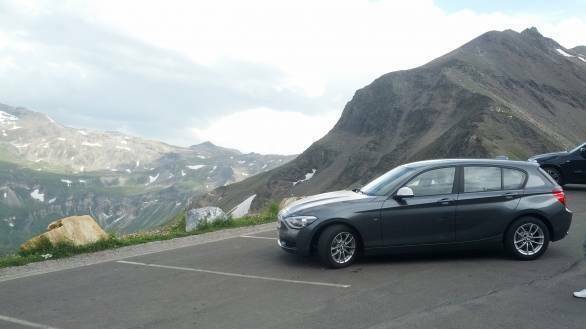 It's a high revving engine with a redline at 6500rpm, it requires a lot of shifts if, like me, you were driving up the 2576 metre mountain pass on your way to see the Grossglockner in Austria. But down in the plains this is a fabulous car with a fabulous engine. The turbocharger is what makes the difference. Barging in at just around 1400rpm, it makes the 116i a delightful car to drive anywhere. In fact by the time the turbo kicks in you are already in the meatiest part of the torque band, so drivability in this car is never an issue. This engine also sounds interesting if you roll down the windows and listen to the waste gate blowing off every time you back off the throttle. The engine responds quickly to throttle inputs and it's best sampled in Sport or Sport Plus mode. BMW have very smartly opted to offer more horsepower to compensate for the lackluster styling. The 116i is more powerful than the Mercedes-Benz A-Class offered in India, though not by a tall margin. Acceleration through the gears is strong and the 116i effortlessly breezes past traffic even in higher gears. If fuel prices in India had to gain some more equilibrium, the petrol 1 Series would be a runaway bestseller. Ground reality, though, is that the 118d will be the big ticket hatchback for BMW. And I don't disagree, it's enormously torquey and power delivery is linear. What it isn't is quiet; there is a slight thrum heard inside the cabin though you can easily ignore it and concentrate on the way this engine delivers its charge right from 1700rpm. With the 8-speed automatic gearbox I expect fuel efficiency should also be impressive. Where performance is concerned the 118d is quick, and given the quality of petrol in India might even be quicker than the 116i. Again this engine, like the petrol, is immense fun in Sport mode. However, I expect it will seldom be used out of Eco Pro mode. In that mode the acceleration is brisk when you want it to be, but it's a lot smoother and tractable too making it easy to use in crowded urban areas. Onto the handling then, the 1 Series is an incredibly nimble hatchback. The multilink suspension at the rear and the double joint cross strut front axle at the front give it the same levels of confidence and agility that you can experience in larger BMW passengers sedans. The 1.5 metre track is wider compared to its predecessor and makes the 1 Series feel immensely stable and planted. 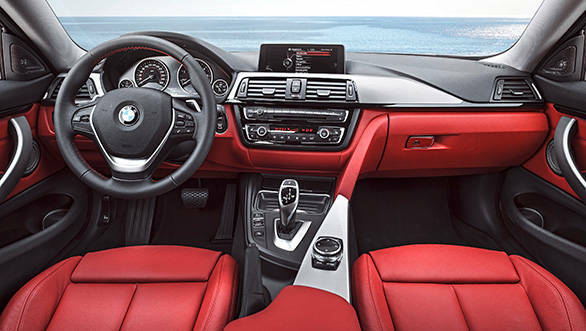 The 1 Series stayed firmly planted at high speeds. However, on undulating surfaces you can sense a bit of body roll and this is despite a fairly stiff suspension setup that will be quite upsetting in our road conditions. The 1 Series will be offered with the rough road package that is also offered on the other BMW cars sold in India. This will soften up the ride, though I don't expect a considerable change and it will add some ground clearance too. Having said that, the front overhang isn't too long to scrape itself over speed-breakers and with the 17inch wheels and 'run-flat' tyres specced for India you should get enough clearance to drive the car comfortably. The steering too is quite impressive, though I did feel it might just be a bit too heavy for urban conditions. Despite the electromechanical assistance, the steering never feels over sensitive but it most certainly is dumb where feedback is concerned. But with the precision and weight along with the reasonably tight 10.9 meter turning circle, this car is not too bad to navigate through rush hour. Yes, the 1 Series will open up a whole new level of cool in our market, much like the Mercedes-Benz A-Class did though at a more affordable price point. BMW will assemble the 1 Series in India, which will allow them to price this car to aggressively attract people away from the A-Class. After having driven the car I can voice that there is sufficient space for just four passengers, yes this hatch is a strict 4-seater since the transmission tunnel rises very high out of the floor. This leaves little room for a fifth passenger unless they are small children. The seats are comfortable though for the front passengers the seat adjustments are done manually. On the negative side though I did think the quality of materials could have been better. I also noticed some areas where the plastics did not fit perfectly like you usually see in the impeccably built BMW passenger car range. And the 116i I drove had a problem with the air con, which after a while failed to throw air out of the vents. These may be initial teething issues as these were also heavily used press cars we were driving and I do expect the cars coming to India should have no issues whatsoever. I expect the 1 Series will be the most affordable premium German offering to the Indian consumer. Pricing should start under Rs 20 lakh if BMW wants this car to get them up to number one position again. What goes without saying is that the screws are being tightened on Mercedes-Benz and Audi.